Even the most involved parents know kids will pick up something from the films and TV they watch. A catch phrase. A hummable tune. An expletive. Young viewers also come away with a sense of the choices characters make that set them apart. It’s why Common Sense Media just unveiled a new tool to help parents navigate today’s content realm. Announced at the recent SXSW in Austin, the tool identifies 11 specific traits within shows rated by the nonprofit. Those traits tell us plenty about the heroes, villains and the messages they send with their actions. Suddenly, screen time isn’t necessarily a curse anymore. And that matters since tweens and teens in the U.S. can spend as much as nine hours a day in front of one screen or another, according to Common Sense Media. We’d be surprised by some of the lessons taught by today’s content, says the group’s Yalda T. Uhls. “’The Simpsons’ teaches self-control. ‘Buffy the Vampire Slayer’ teaches teamwork,” says Uhls, a child psychological researcher. Her organization recently tagged Disney’s “Zootopia” as promoting teamwork and perseverance. The site currently offers more than 600 titles with these character ratings embedded in the analysis. Filters allow parents to search via sub-categories like age groups and traits. For example, users can seek out a film featuring communication skills suitable for an 8-year-old. This kind of content analysis helps parents juggle screen time constraints in an evolving landscape. “Content changes all the time, and it reflects the culture,” Uhls says. For example, fame is now more highly valued than in the past. 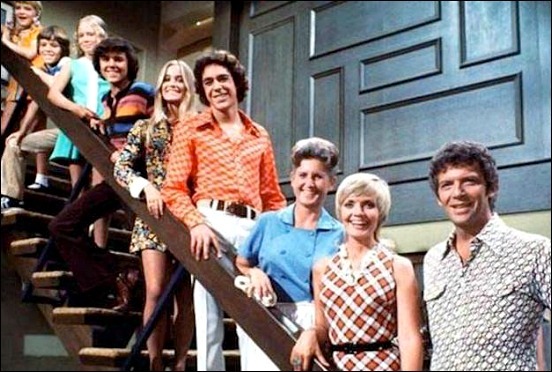 Just consider a popular show from the early 1970s like “The Brady Bunch.” It’s certainly a sweet showcase about a blended family. Seen today, the show offers a bit more than expected. “It reflects a lot of gender stereotypes,” she says. Some might fear that the rise of the anti-hero in western culture is an obstacle for parents. Walter White. Ray Donovan. Tony Soprano. Jax Teller. That’s not necessarily true, Uhls says. “It has to pose ethical dilemmas in order for a child or teen to pay attention to it, to feel it’s realistic,” she adds. Uhls served as a film studio executive for 15 years and is married to a Hollywood screenwriter. She understands personally how movies can impact our lives. It’s why Common Sense Media doesn’t take an adversarial role against the Hollywood system.